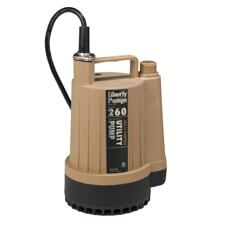 Offering powerful pumps that draw as little as 5.2 amps of energy (for smaller models), Liberty Pumps has a variety of products that are over 200% more efficient than your run-of-the-mill cast iron-bodied pumps. 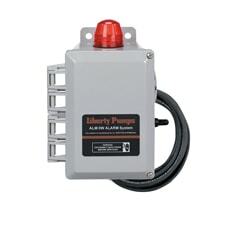 Liberty Condensate Pump: Condensate pumps pump condensate water produced from water vapor in an HVAC heating or cooling system. For the most part, they are used in hydronic systems and are mainly employed to remove condensation water that is to be evacuated into a wastewater pump. 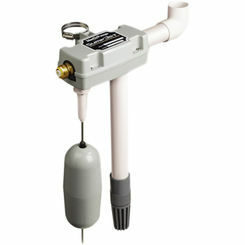 Liberty Sump Pump: Sump pumps help in the removal of water from a sump basin, a product that is normally found in the basement of homes. 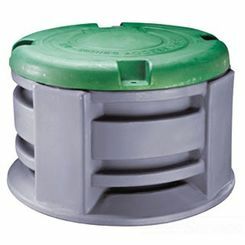 Sump pumps are a major part of a basement waterproofing system and are employed to remedy dampness where the water table might exceed a home's foundation. 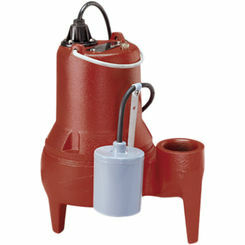 Liberty Grinder Pump: Grinder pumps move wastewater from household appliances, such as toilets, washing machines, and bathtubs, to a primary holding tank (that the home's pipes lead to). 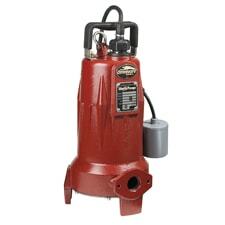 From there, the wastewater is churned and pumped into a septic tank or central sewer system; in other words, grinder pumps are integral for waste systems and are absolutely needed for most commercial and residential buildings. Just remember; all Liberty Pumps come with a 3-year warranty from the date of purchase. The warranty deems the manufacturer obligated to repair or replace any parts found by the manufacturer to be defective. If the pump was disassembled, modified, abused, tampered with or used in a way not specified by Liberty Pumps, they should not be held liable. Liberty Pumps is the leading manufacturer, in the U.S., of pumping products used for ground water and wastewater removal for both residential and commercial applications. They focus on innovative product design and have a wide range of pump products available including; sump pumps, sewage pumps, effluent pumps, drain pumps, grinder pumps, pump accessories and a complete pre-assembled sewage package. Liberty Pump products are relied and depended on by hundreds of professional contractors and are distributed through a vast network of Plumbing Wholesalers and Pump Distributors. Liberty Pumps is compliant with the 2009 American Recovery and Reinvestment Act which was enacted into law February 17, 2009. The lines included in the compliance are sump pumps, sewage pumps, effluent pumps, ELV-series pumps, high-temperature pumps, grinder pumps, and systems. There are some Liberty Pump product series which are excluded from this and are not ARRA compliant which are; LCU-Series condensate Pumps, 260 Utility Pumps, and S30-Series Sump Pumps. In August of 2011, Liberty Pumps was named to the Inc. 5000 for the fifth year in a row as one of the fastest growing businesses. 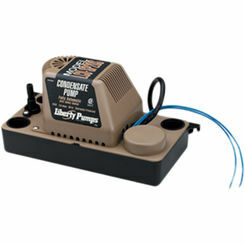 For quality in engineering Liberty sump pumps, condensate pumps, and more demanded the recognition they have received. They made the magazine's list in 2007, 2008, 2009, 2010 and now 2011. In addition to the Inc. 5000 list, Liberty Pumps has been cited as one of Rochester's Top 100 Companies for nine out of the last 11 years. They have recently completed a new $4 million expansion project. The expansion opened up 64,000 square feet to the reconfiguration of manufacturing space, expanded its office space, and provided more room for a new research and development facility. 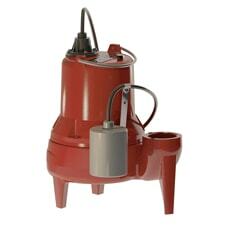 If you are looking for a Liberty water powered sump pump, we offer the best prices online. With up to 50% off the price of many products, few sites can provide you with the impeccable products and exceedingly low costs that PlumbersStock.com can. With that in mind, use PlumbersStock.com for the best in discount pumps online; we are sure you will not be disappointed! Learn more at LibertyPumps.com.